We have created this privacy statement in order to demonstrate our firm and continuing commitment to the privacy of personal information provided by those visiting and interacting with this web site. We hold the privacy of your personal information in the highest regard. The following discloses our information gathering and dissemination practices for this website. Clik Marketing abides by the National Privacy Principles established under the Australian Privacy Amendment (Private Sector) Act, 2001. We recognise the importance of protecting your privacy and our policy is designed to assist you in understanding how we collect, use and safeguard the personal information you provide to us and to assist you in making informed decisions when using our site. This policy will be continuously assessed against new technologies, business practices and our customers’ needs. When you register for any of our products or services you will provide us information about yourself. Occasionally, we may also use the information we collect to notify you about important changes to our Website, new services, and special offers we think you will find valuable. You may notify us at any time if you do not wish to receive these offers by emailing us at any time. Please note that your information will be stored and processed on our computers in Australia and the United States. The laws on holding personal data in Australia an the United States may be less stringent than the laws of your Country of residence or citizenship. To prevent unauthorized access, maintain data accuracy, and ensure the correct use of information, we have put in place appropriate physical, electronic, and managerial procedures to safeguard and secure the information we collect online. Clik Marketing offers tailored digital marketing services to assist businesses achieve growth and profitability through effective online marketing. Through experience we can identify opportunities to expand your business operations online, improve visibility, increase sales, and build long-term customer retention. 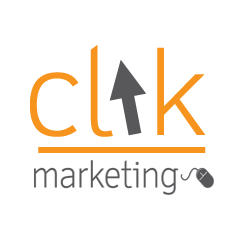 Excellent service, will definitely recommend Clik Marketing to anyone! Simon is awesome. He is so generous with his time, timely and responsive.